Being Eco-friendly means that you choose to stay in harmony with nature, in all your activities. Often, we tend to focus more on widely publicized ways to reduce pollution, and conserve energy. But, in our daily routine, there are many such instances where we tend to unknowingly pollute the environment,and disturb the ecological balance. Here’s a look on how commonly used detergents can cause damage to the environment. We all use detergents in our daily life, with a standard washing machine cycle requiring at least 60 liters of water under standard washing conditions. The water from the machine is often let into drainage pipes, where it mixes with drain water and ends up in treatment plants. Often, these treatment plants let out the water into large water bodies such as lakes, rivers and seas, where the water would still have harmful phosphates which usually are not filtered in treatment plants. These phosphates are very harmful for marine life, as they promote the growth of rouge algae, which cause a decrease in the oxygen content in the water, and also release toxins. Eventually this damages the ecosystems in the water bodies, and slowly makes them unfit for a healthy marine life. Phosphates are mainly used in detergents to soften the water, so that the detergent can act much better. Apart from phosphates, there are also fragrances which are added to give the detergent a pleasantsmell. This fragrances are often derived from petroleum bye-products, and other harmful chemicals,and do effect the marine life. Detergents also contain chlorine, PEG (Polyethylene Glycol) and other harmfulchemicals which are potentially dangerous to human and marine life. The main drawback is that suchtoxic chemicals, though in very minute proportions often dissolve in water, and are very difficult to befiltered. When such water is let into other water bodies, the dissolved impurities make their way in thewater, and as time passes, the level of such toxins reaches a very high proportion, making it very harmful for marine life. 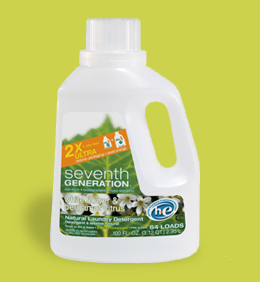 One alternative is to use Eco-friendly and non-polluting detergents in for our daily needs. You can do your part by checking for Eco-friendly detergents while shopping and ensure that your product does not contain phosphates and other such toxic chemicals as active ingredients. Since detergents are something we all use on a daily basis, it’s highly recommended to look for a safe variety amongst the numerous options in the market.